.hi guys i have a problem by set a path in text line. I put in a picture, maybe you understand what I mean. myPath = bpy.path.abspath('GameName\Character\Johnny') #path from "Johnny"
I hope there's an answer to my problem. 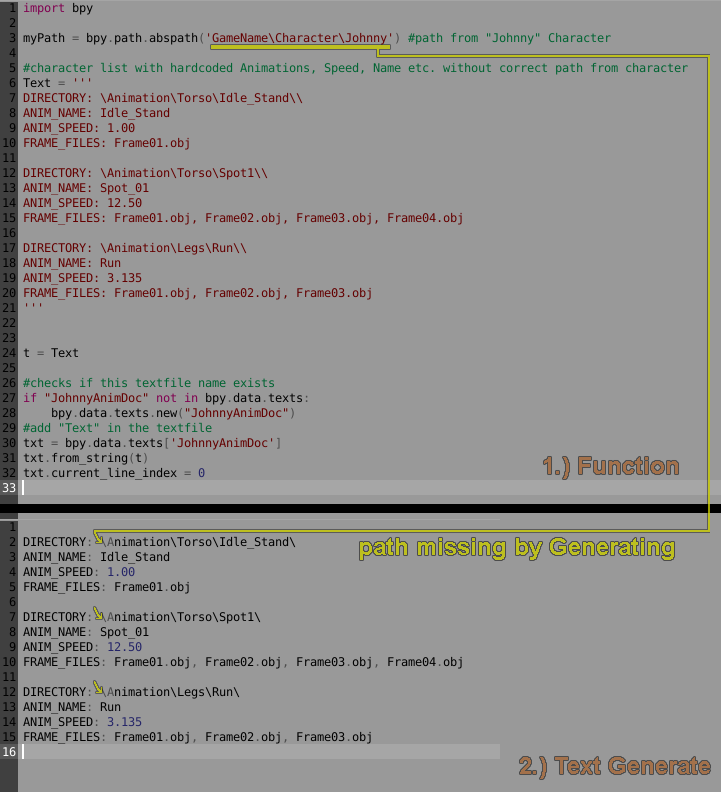 Since the parts are paths strongly recommend you lookup in python docs , os.path.join(...). Not the answer you're looking for? Browse other questions tagged python export path text-editor or ask your own question.